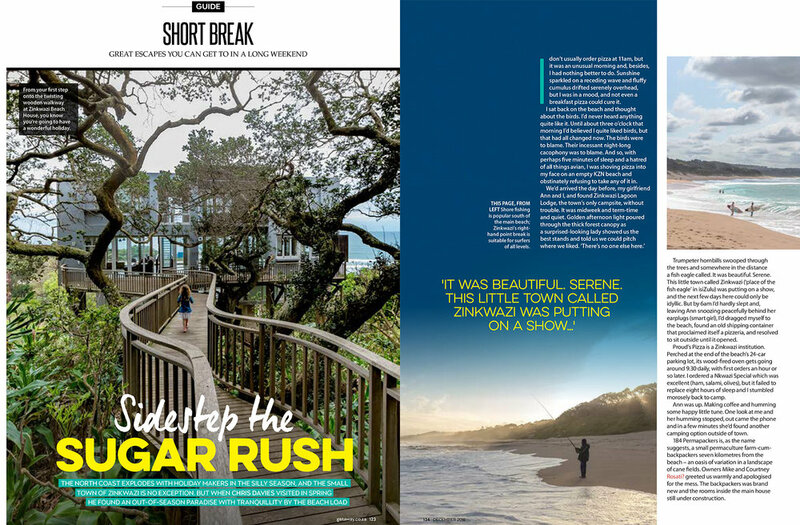 A guide to Zinkwazi - beach-holiday paradise on South Africa's North Coast. “I don’t usually order pizza at 11am, but it was an unusual morning and, besides, I had nothing better to do. Sunshine sparkled on a receding wave and fluffy cumulus drifted serenely overhead, but I was in a mood, and not even a breakfast pizza could cure it.